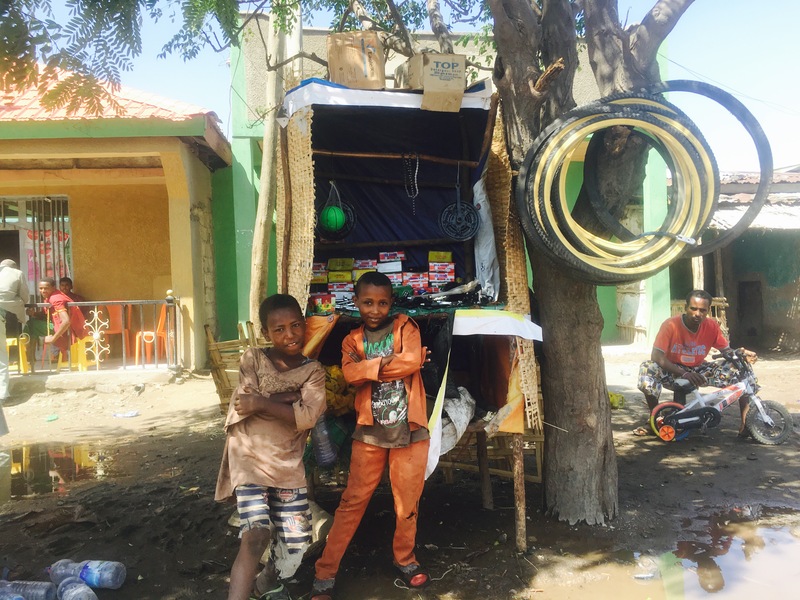 We left Bahir Dar exactly 1 month ago. So much has happened since my last blog entry. 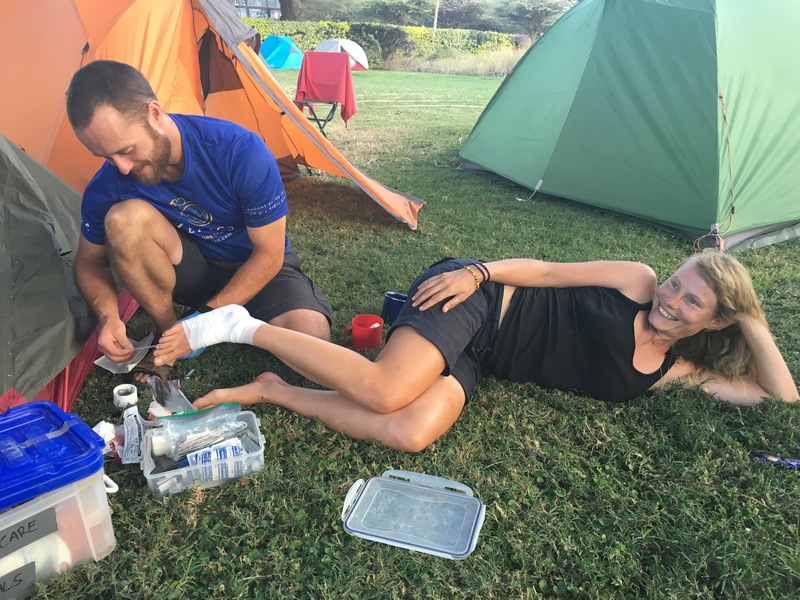 We time trialled the Ethiopian Highlands, sipped litres of delicious Ethiopian coffee, I stepped into a tent peg confusing it with an acupunctural treatment, Pierre joined for a couple days from Nairobi to Arusha, we visited the Serengeti and survived the wild Tanzanian jungle. Now we are about to cross the border to Malawi.You will have noticed that my WordPress updates are less frequent, which is due to the very weak internet taking forever to upload pics and content. If you haven’t done so already, please follow me on Facebook, Twitter or/and Instagram for daily updates. 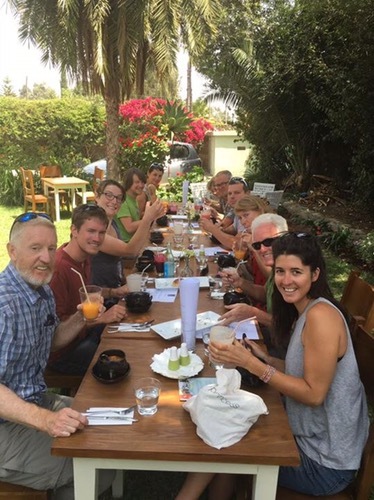 Strengthened by the uber-delicious power juices we headed from Bahir Dar, also known as the Ethiopian Rivera because of its lush green nature and tropical climate, straight into the mountains to over 3000m. The temperatures were far more manageable with 25-35 degrees during the day and around 10 at night. The new challenge was however the altitude. We spent over 1 week above 2000m and some days above 3000m. It has a very subtle impact and is at first not really noticeable. 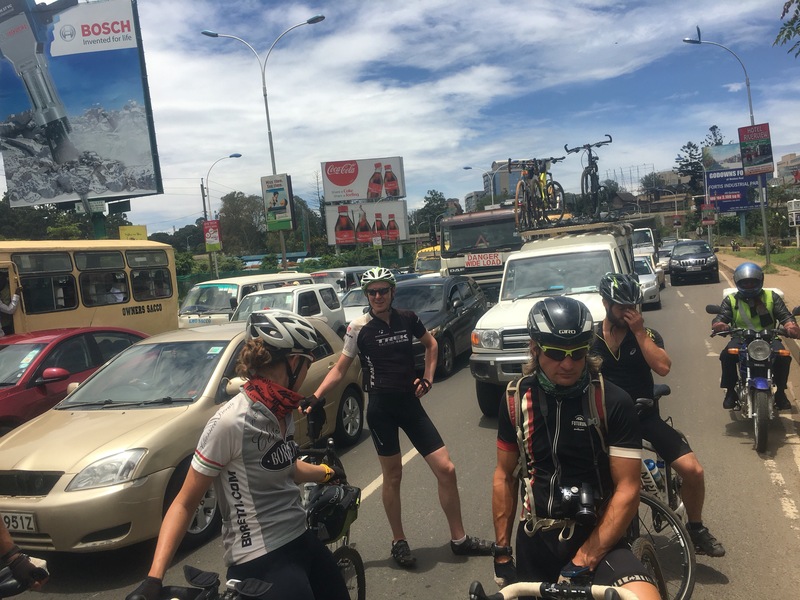 I felt fine the first few days and was just a bit dizzy pushing up the Blue Nile Gorge, but it was the day we hit 3000m that I was quickly out of breath on the smallest climbs, even in easy pace. Lots of rest and sleep was necessary in the afternoon on those days. One of the highlights through Ethiopia was the Time Trial up the Blue Nile Gorge. This stage started off with a 60km untimed ride, including 500m elevation gain, passed beautiful grass lands and wheat fields (all harvested by hand! ), in about 2400m altitude. We then dropped to 1100m altitude only to time trial everything back up to 2400m for 20km on the other side of the gorge. 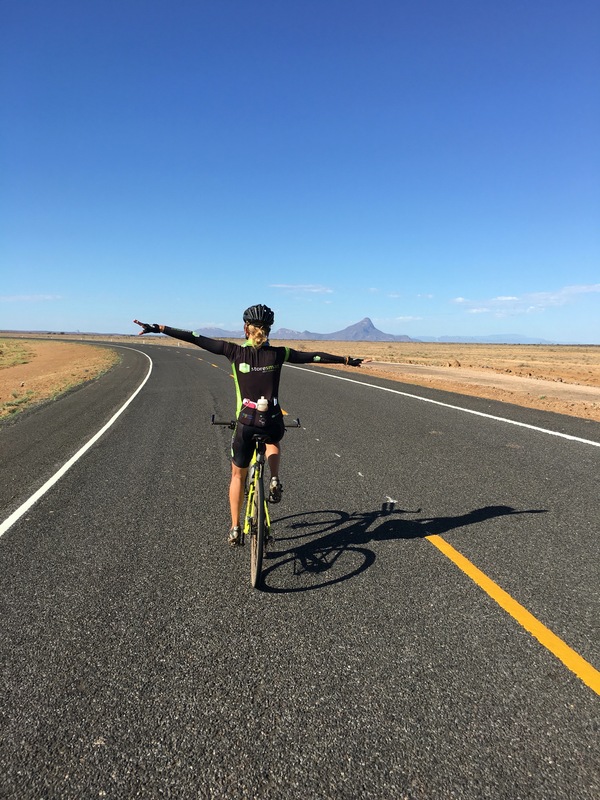 I am not an experienced time trial rider, and just thought of the Merino Monster (infamous pass in the Cederberg, SA), which can’t get worse and fired away to just below the pain threshold. The ice cold coke never tasted so good that day and the reward was a mind-blowing view over the gorge and highlands. In Addis Ababa, we were spoilt by the talented team of Bahir Zaf. It was a fabulous experience with delicious treats and excellent service. Bahir Zaf is a global initiative providing hospitality training to youth from poor communities and offer job opportunities after their one-year stint. Excellent concept. 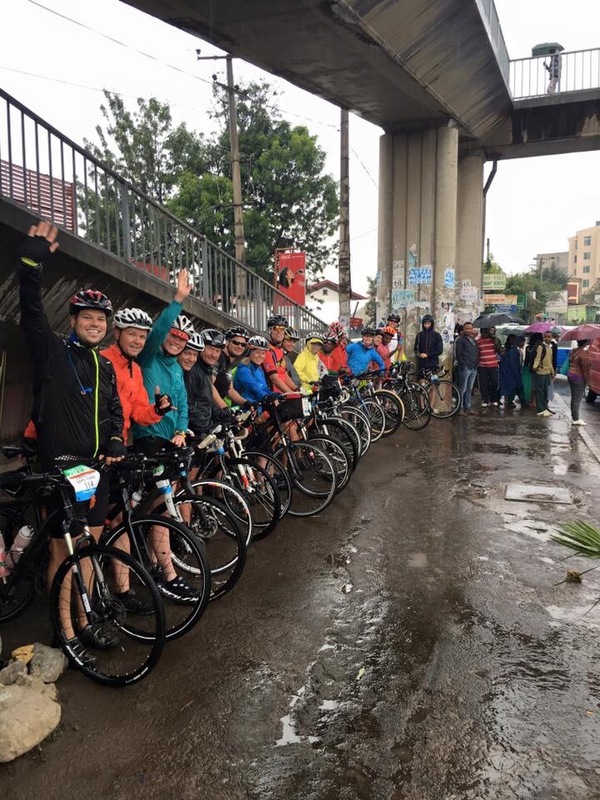 We had two rest days in Addis, filled with wonderful experiences. We drank honey wine, ate local delicatessen, enjoyed coffee in popular establishments, listened to local tunes, something jazzy the one night, more traditional the next. I also learned that taxi drivers can change a flat tyre in 2 minutes without breaking a sweat. 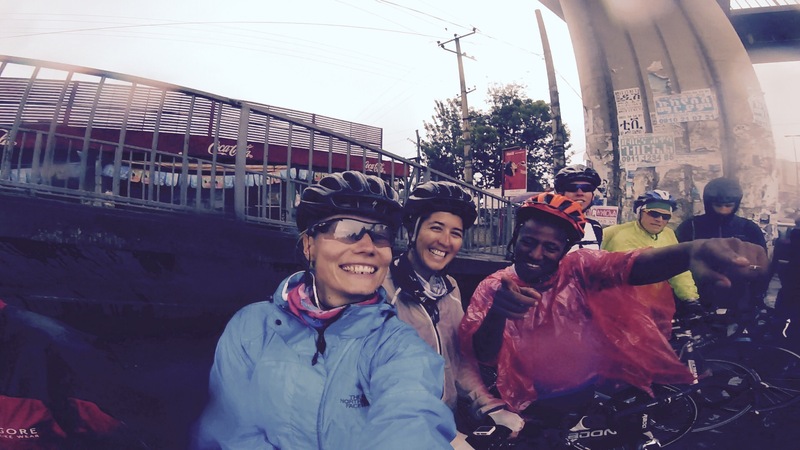 The day we left Addis it was raining, the first wet ride since our departure from Cairo. After Addis the ride was relatively flat and dry. 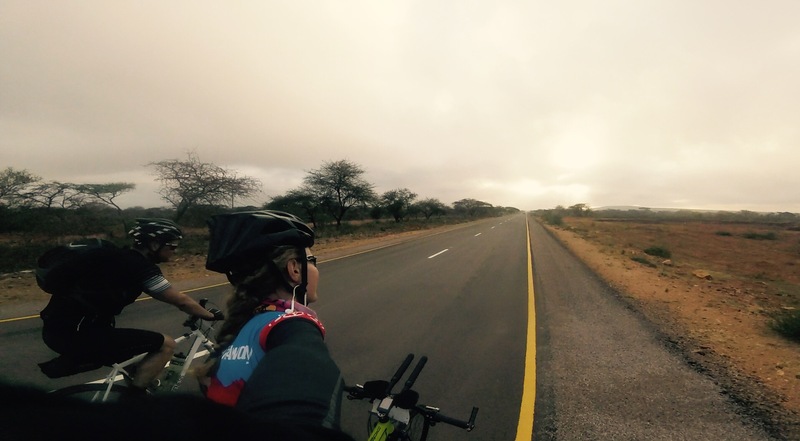 We road along grasslands and endless plains with Acacia trees for over 200km over 2 days. 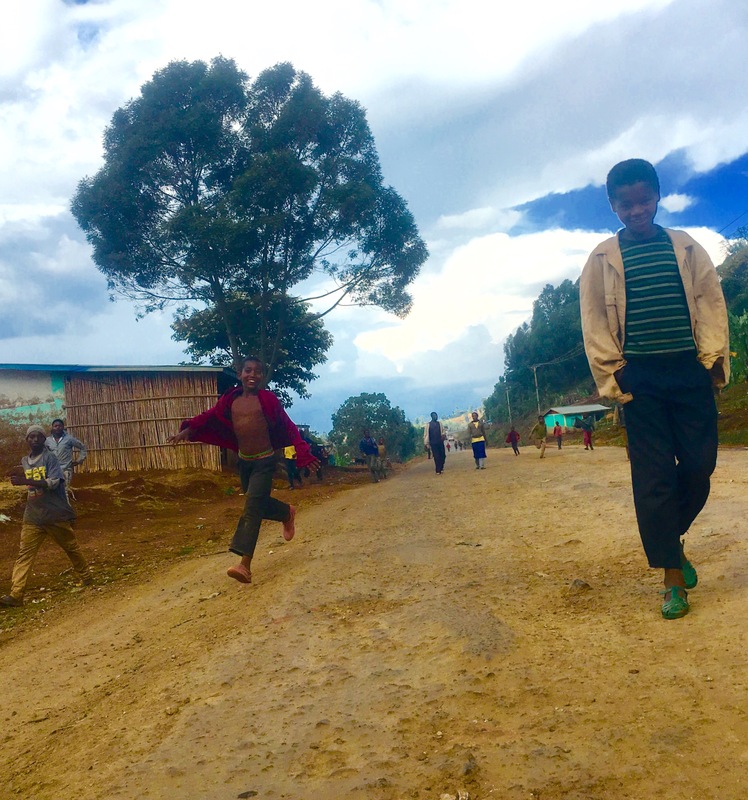 Further south we had one ‘bus’ ride and drove for around 210km through very densely populated regions of Ethiopia. To ensure we all arrive in one piece the bus was the safer choice for the day. 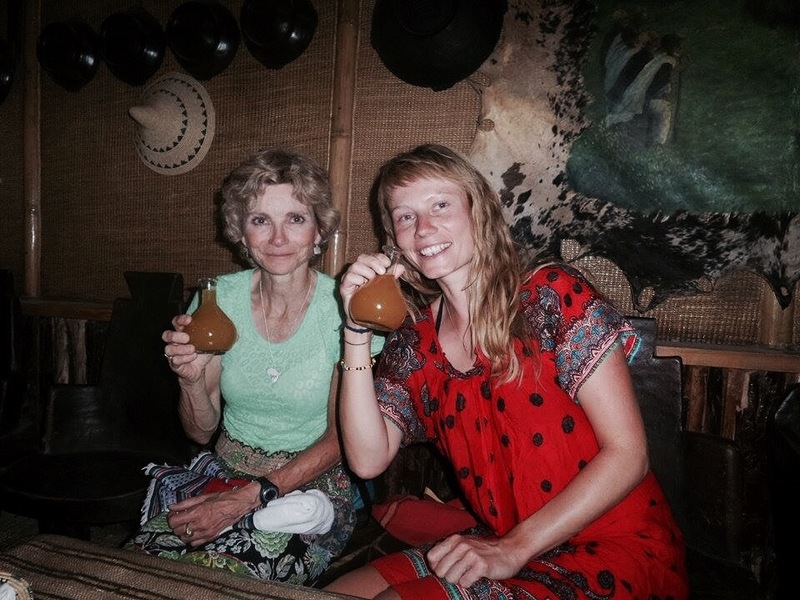 We had several stops along the way which offered opportunities to engage with locals. The scenery changed drastically to a tropical mountainous landscape with lots of palm and banana trees along the road, and lush forest all the way to the horizon. We rested for one day in Yabello, a town close to the Kenyan border, without much water or electricity. There wasn’t much to do besides eating and sleeping. The following and last night in Ethiopia, we had Hyenas visiting us. A real bush adventure. 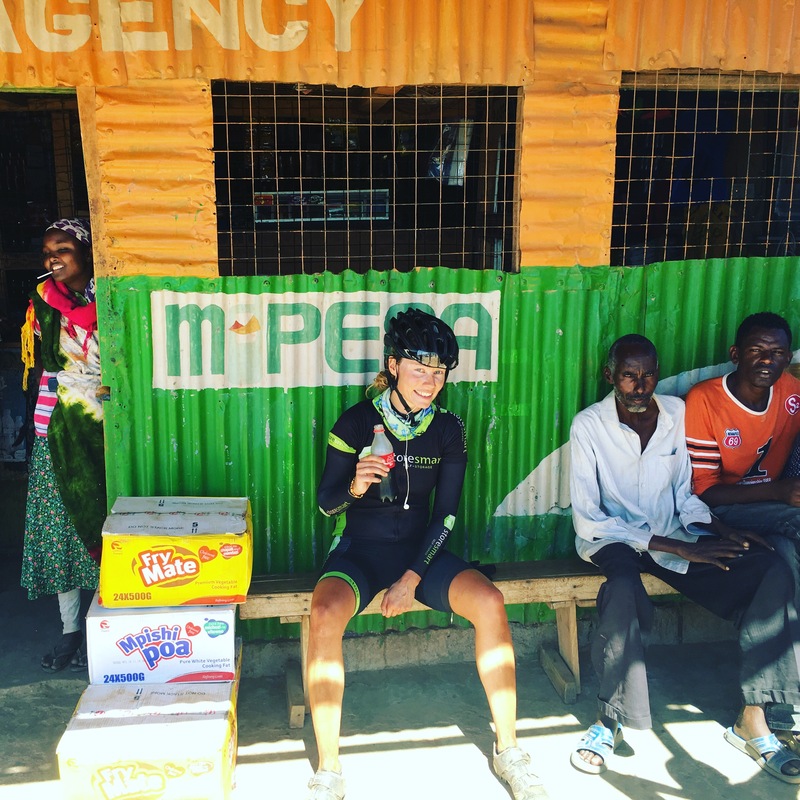 The ride through the border was very smooth and arrived in Moyale, a small town just 2km after the border welcoming the boys with amazing cold beers at the local prison bar. For me, most importantly, finally showers again!!!! That night we had more hyenas visiting us. One of the riders left his flysheet just in front of his tent and found it ripped to pieces the next morning. 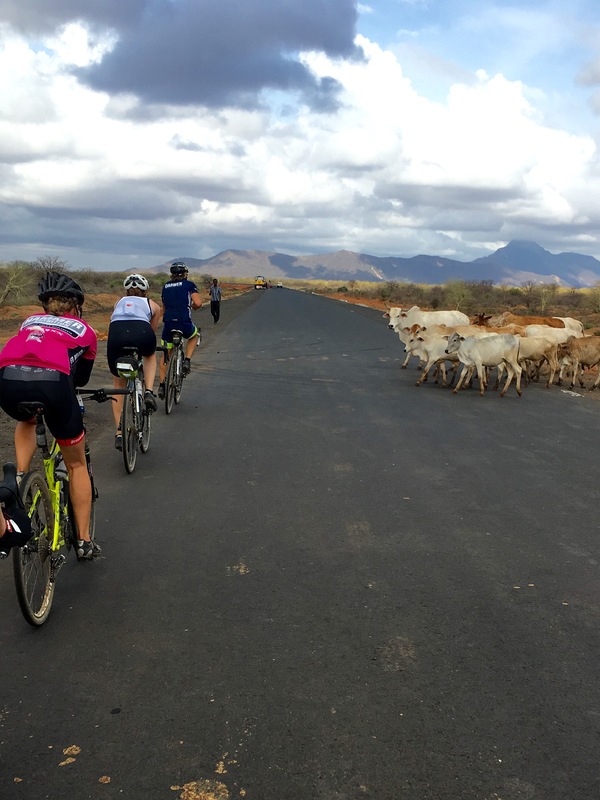 The following day we rode a beautiful route through lava rock land, flat and fast, with many herds of camels, sheep and cows crossing the road. It was also the first time since Sudan that we all road together in a peloton again. 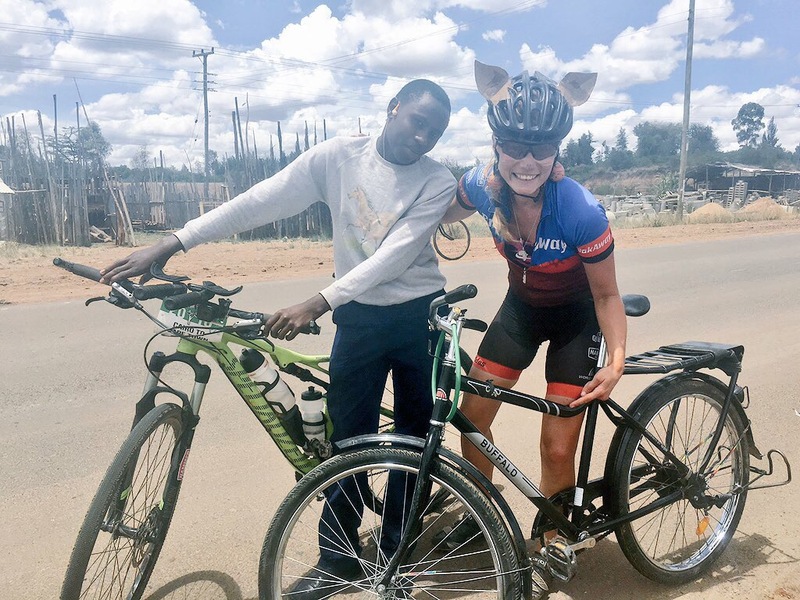 Since we are rather a small group of riders of different ability and strength it is easier for everyone to ride with one or two of the other riders with similar speed. We are not many girls racing in the front and so it is rather tiring over the longer distances for me to ride with the guys. Riding my own pace and not being pushed to my threshold all the time has become the key ingredient for staying strong and healthy on the bike. We stayed at a convent on our next rest day in Marsabit. The nuns fed us chocolate, ice cream, yoghurt, chips and all sorts of sweat cold drinks. Heaven!! 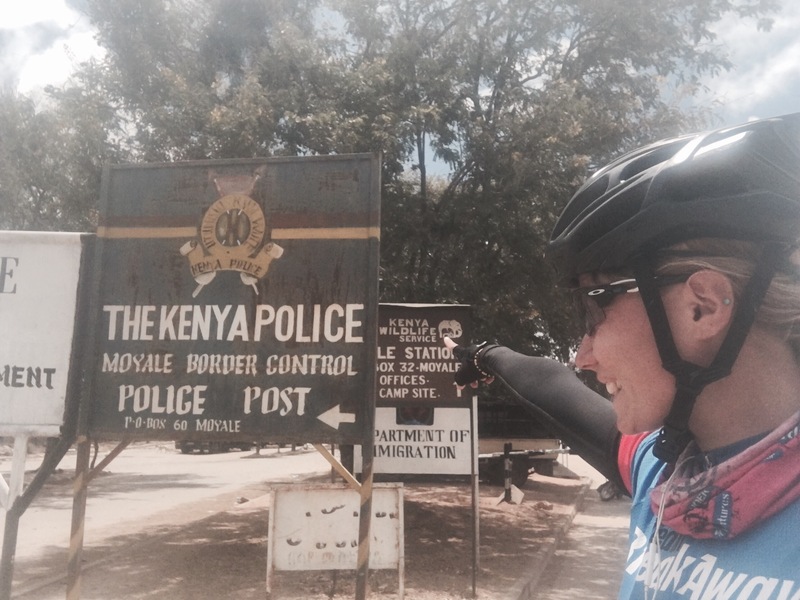 Since the Kenyan border we were again escorted by the police as the North of Kenya is notorious for bandits. But the police offered a great chauffeur service too. The monastery was a little outside of town and so we went on a food hunt together with the gents from the police. We ended up in a very dark pub that served lunch, with the typical preparation time of over 1 hour. 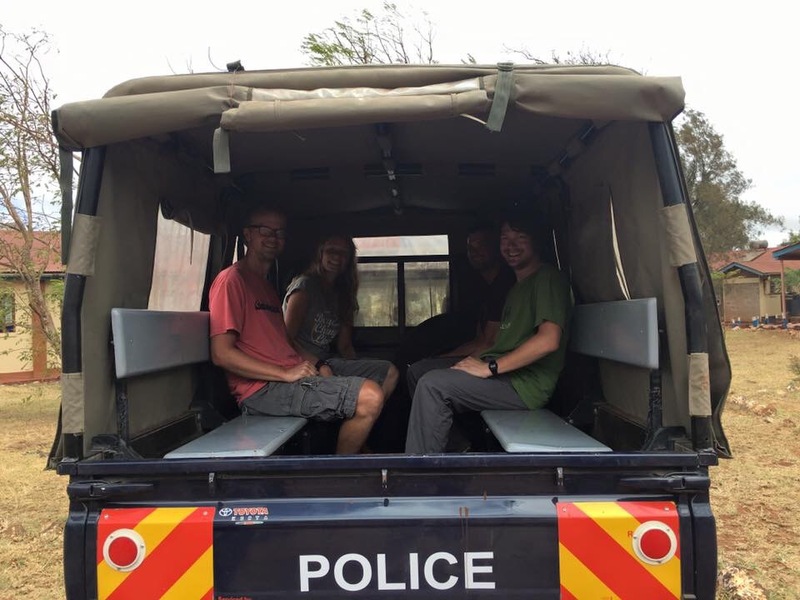 After Marsabit we continued our journey towards Nairobi, a 5-day back-to-back ride including one bus day. The first 100km after Marsabit spoiled us with a scenery that was simply mind blowing. Red soil, blue sky, mountains on the horizon and acacia trees as far as the eye can see. Maasai greeting on the side of the road usually caring heavy loads or walking a herd of sheep or cows. The next day was a ‘bus’ ride again, due to safety concerns and so we arrived in camp very early. 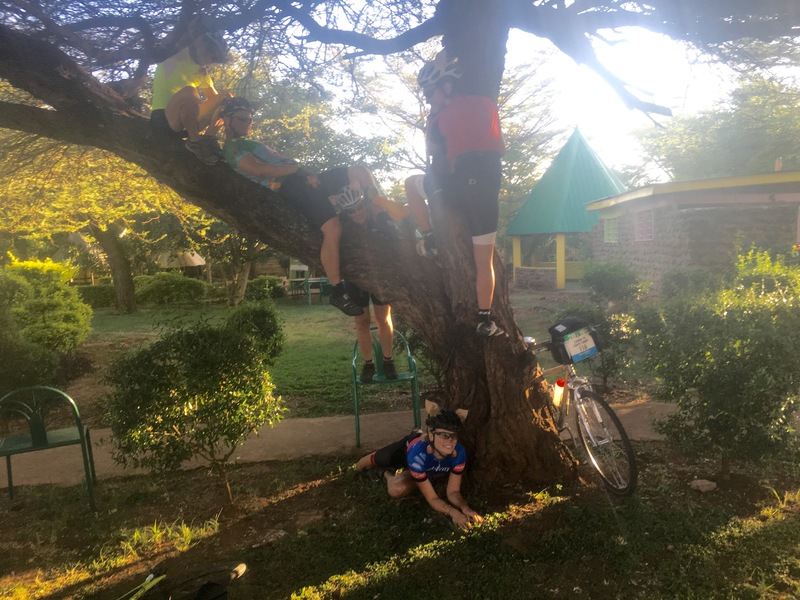 The next day was set out as a scavenger hunt, each team given 10 tasks to complete on their way to the Nanyuki the next day. Each team had to have at least one member riding in a fancy dress for the entire route. We had to carry a bunch of eggs from start to finish and use a typical local mode of transport. A funny team pictures with locals was another task and finding a local object with the letter ‘z’. The creative had to come up with a song or poem relating to the team members. It was set out to be a great fun day ahead and I was really excited. If it wasn’t for the tent peg that was placed close to the entrance of my tent. It was a very painful encounter and the chances for me to hold my EFI (riding every fabulous inch) were out of the window. 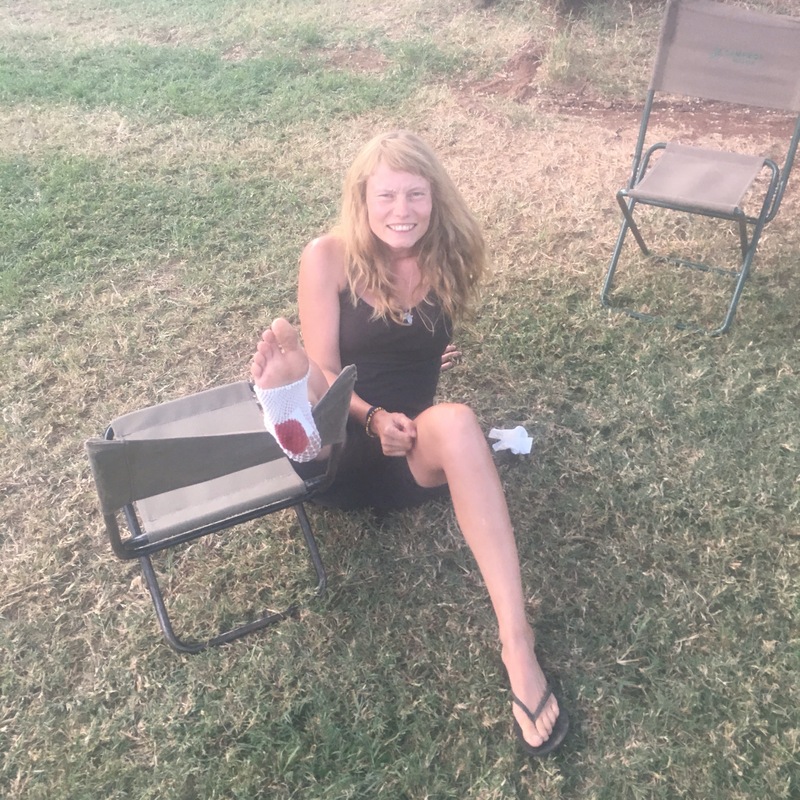 The night was rather uncomfortable to say the least and the walk to the bathroom the next morning revealed that I would not be able to put any pressure on my foot. I was nauseous and was close to crying. 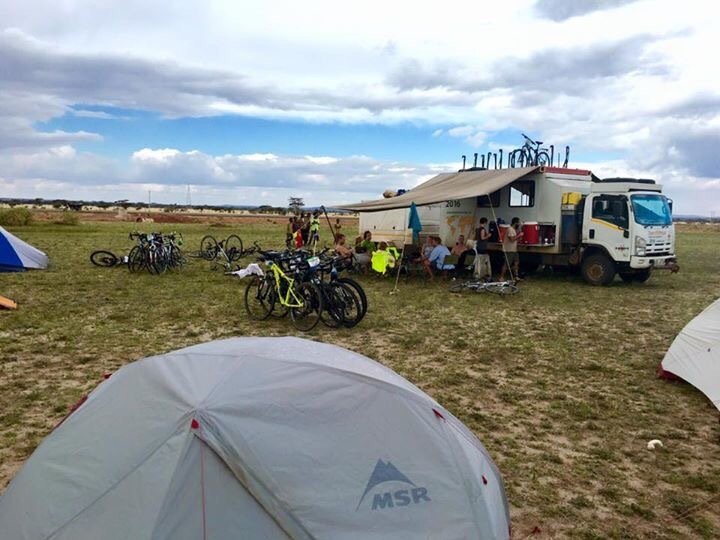 In the meantime, some of the riders slowly started packing up my tent. That’s when I decided not to give in to the pain and put on my cycling kit, thinking I might be able to ride as the push-pull movement does not require my heel to take much pressure. I limped to my bike clipped in with the healthy foot and rested the other on the pedal without clipping in. I moved a bit forward and voila, I was able to ride the bike as long as I didn’t use the sore foot and did all the work with the healthy one. That day I rode 71 km and climbed over 1400 m with more or less one leg. But I kept my EFI and was part of the Scavenger hunt, although I was more in a survive-the-day-mode than following the fun of the game. At the end of the stage, there was this boy riding pass me with his bike. I immediately recognised the buffalo sign at the back of the seat and without thinking yelled at the boy to stop. It was a buffalo bike and I was so excited, and probably scared the boy to death. But after I explained to him that I raise funds to buy Buffalo bicycles to help children like him to get to school quicker, he smiled and we spoke a bit. He was on his way to school for some afternoon curriculum and really enjoyed riding his bike. 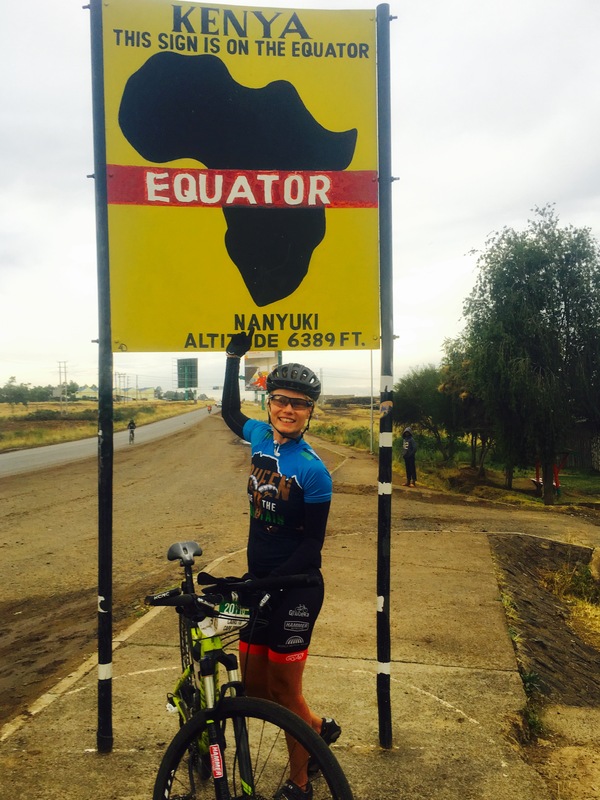 We crossed the Equator the next day, rather less spectacular, but it did mean that we are very close to the halfway mark of the tour. 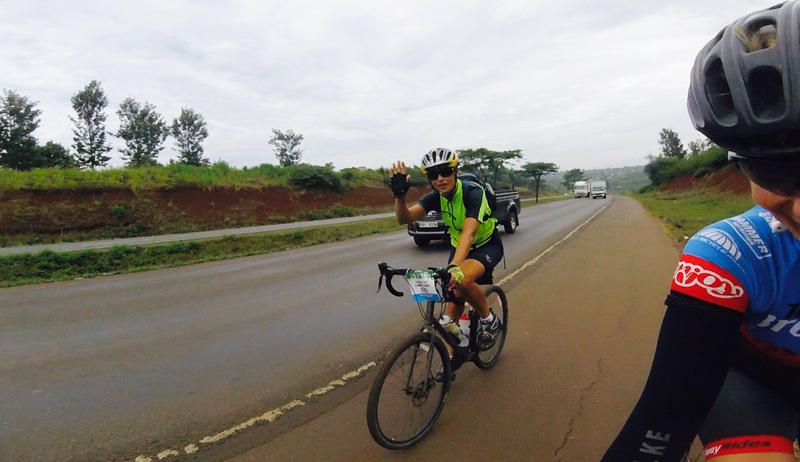 For the first part of the ride we had the majestic Mount Kenya watching over our left shoulder. Very beautiful. The foot felt a bit better and was moving slowly but surely to the next campsite situated right next to a river. Being so close to the Equator means that the climate is very tropical and torrential rainfalls with thunderstorms, especially during this time of the year, are very likely. One sweats on and off the bike. The water does not evaporate of the skin unless dried properly. It’s hard to find sleep until late in the evening when the temperature slowly drops to the lower 20 mark. The climate is naturally very conducive to lush green forests and an abundance of animals. Sitting quietly in the rain forest and listening to the sounds of the animal world is unbelievable and feeds mind and soul. We headed to Nairobi the following day. Oh my word, that was the most insane ride of my life. Narrow roads, speeding trucks, busses and cars from all directions. We did have a shoulder, filled with glass and sharp little rocks to ride in, a real tester for the durability of our tires. 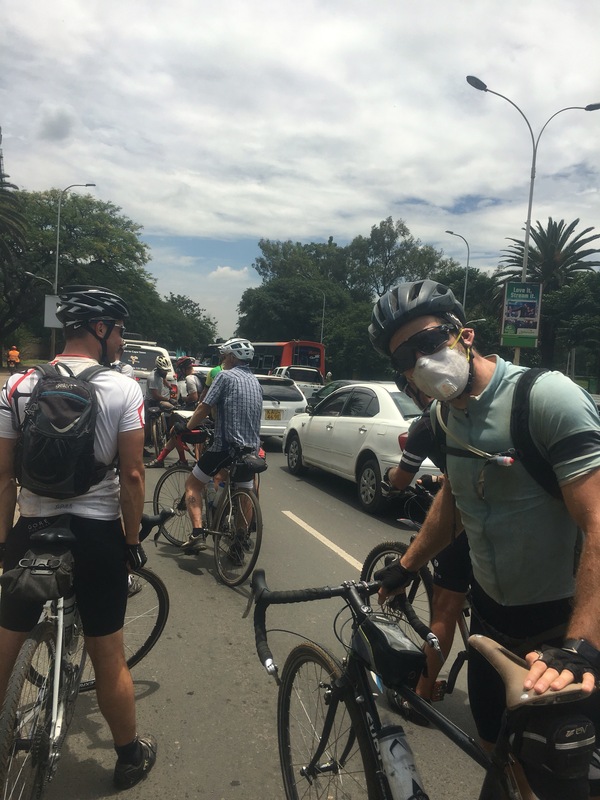 The adrenaline levels came down once we were stuck in traffic jam in the city of Nairobi. The most exciting part of the ride was waiting for me at the finish. My husband Pierre welcoming me. What a feel after two months, I had to pinch myself to ensure I am not dreaming. We are going to reach Chitimba Beach (Malawi) in two days and continue updating this post then……. adios and keep cycling!